I don’t really know how I get into these situations but the chance to travel across Canada always brings with it the chance to explore more spas. 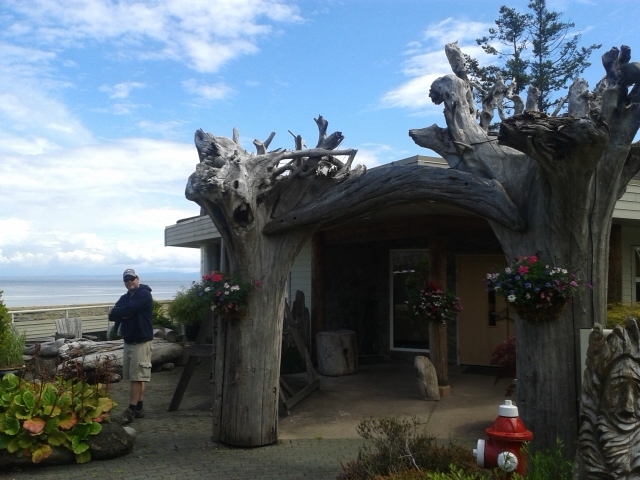 Moving from Winnipeg to Port Alberni meant making the most of the trip west, with some strategic spa visits. Though one might like to go to all of the spas along the way, restrains such as relying on rides, travelling with family, and (of course) the finite pocket book, all limit how many days of bathing one is able to take in. 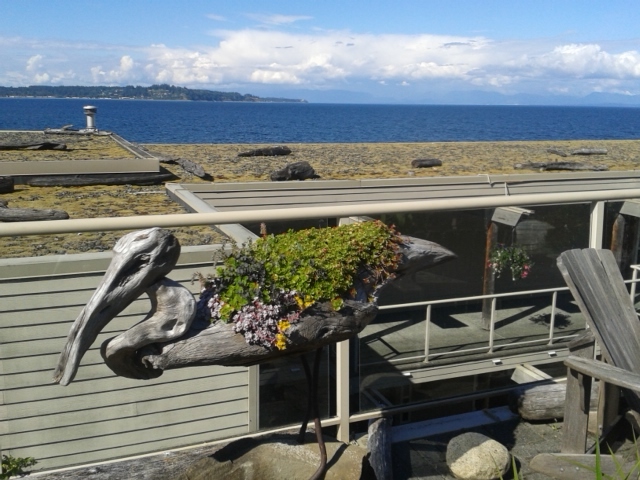 However, I was pleased to have hit all my priority spa destinations between Winnipeg and Vancouver Island. Driving from Winnipeg to Regina has got to be some of the strikingly flattest landscape in Canada, if not the world. 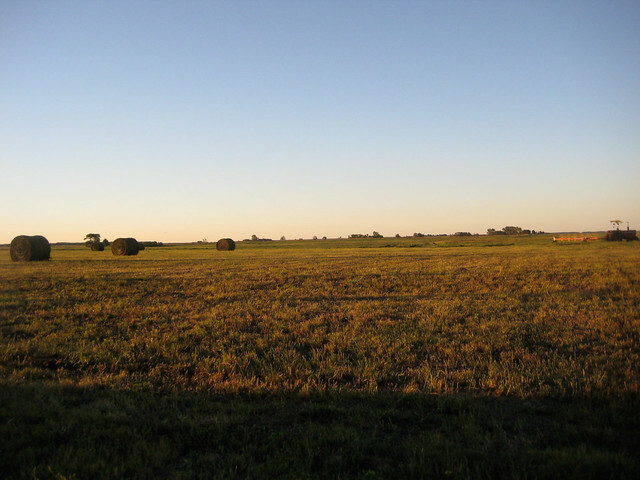 This, of course, makes the sky appear huge in the prairies, and the road through particularly endless. Having gone through Moose Jaw and Temple Mineral Gardens just a few months earlier, the other interesting option would have been to go through Saskatoon would allow for a stopover in Manitou Beach to enjoy the Manitou Springs Resort and Mineral Spa. 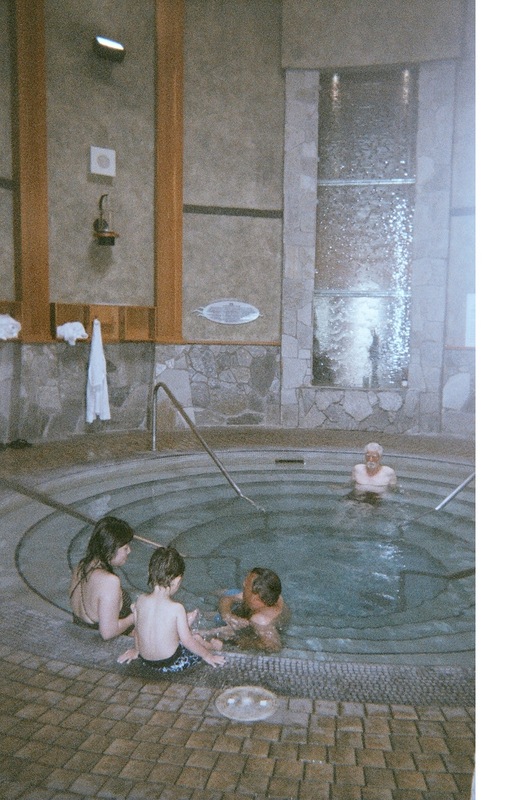 But family beckoned in Regina leaving the first spa experience to happen in Alberta this time. Calgary is the capital of cowboy country. It’s bustling with traffic, oil inspired skyscrapers, new housing developments, ambitious yuppies – the money is almost visibly growing from the trees. In this cosmopolitan prairie city, I found the most perfect representation of the paradox of Calgarian life – a respectful dose of heritage, kitsch and internationalism that is Calgary. In a strip mall in southeast Calgary, where our taxi driver had never been before, I found the “Oak Leaf European Club.” This is a Russian Banya, complete with venik and a 110’C sauna. If you are only used to the most pristine, sterile, and minimalist North American-style spas, then you might find yourself a bit out of your comfort zone. But for those of us who have experienced banya first hand it is a nostalgic treat, reminding our bodies of the limits of excessive heat and surpassing them. 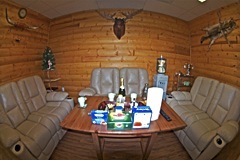 Complete with imported red oak leaf bunches, and a mini fridge for BYOB, this establishment has found good reasons for making a banya a private club. You need to book in advance for your group. 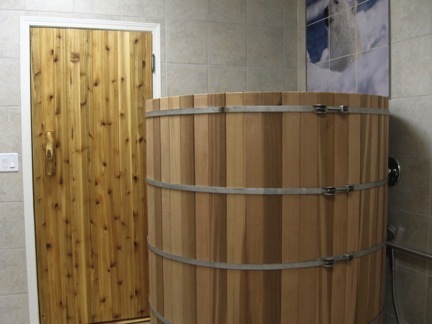 It is $120 for 2.5 hours of banya, so the more people the better. If you are not a member, you can also give it a first time go on Friday afternoons for $20. Be prepared to get naked and hot. 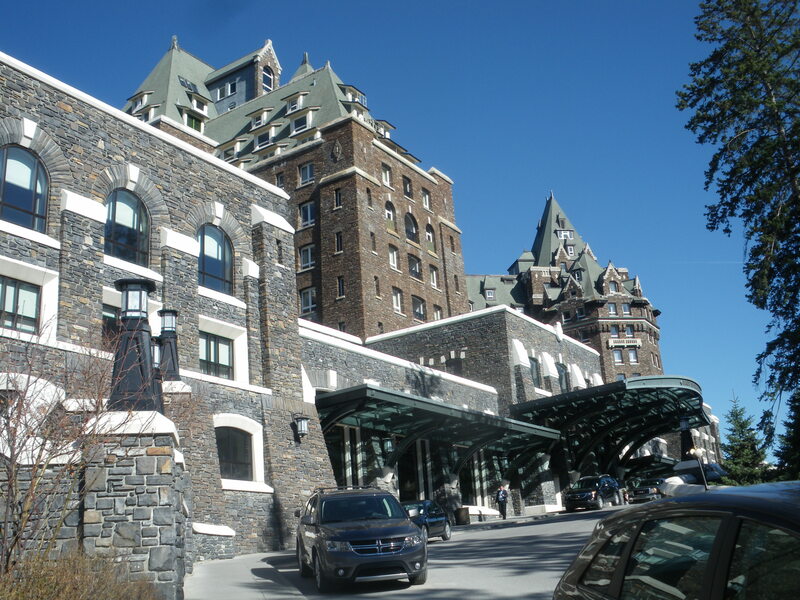 The world famous town of Banff (and National Park) is home the even more famous Banff Springs Hotel. 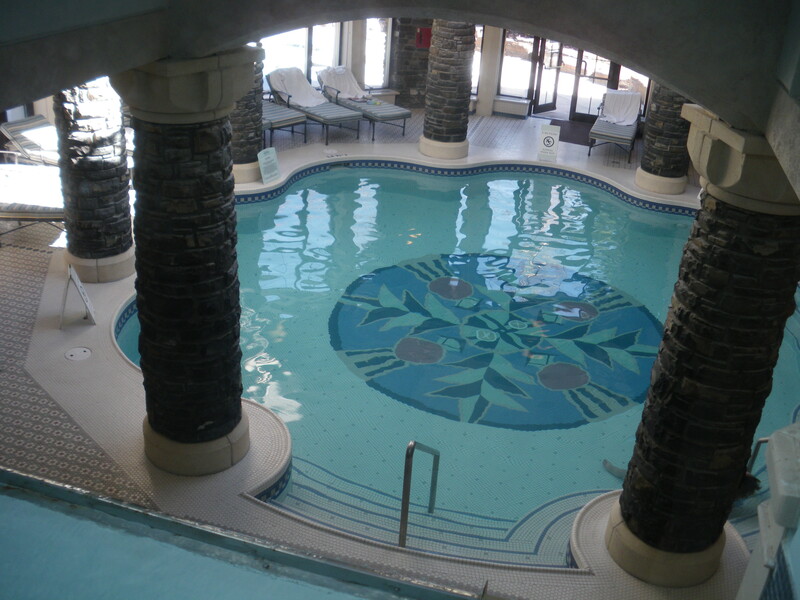 Though I had grown up in Alberta, visiting the Banff Upper Hot Spring quite frequently, this would be my first time at the Willow Stream Spa at the Banff Springs Hotel. Because my sister was staying at the hotel we could get in easily on a day pass for the three of us. This is the kind of spa that is worth making the trip for. 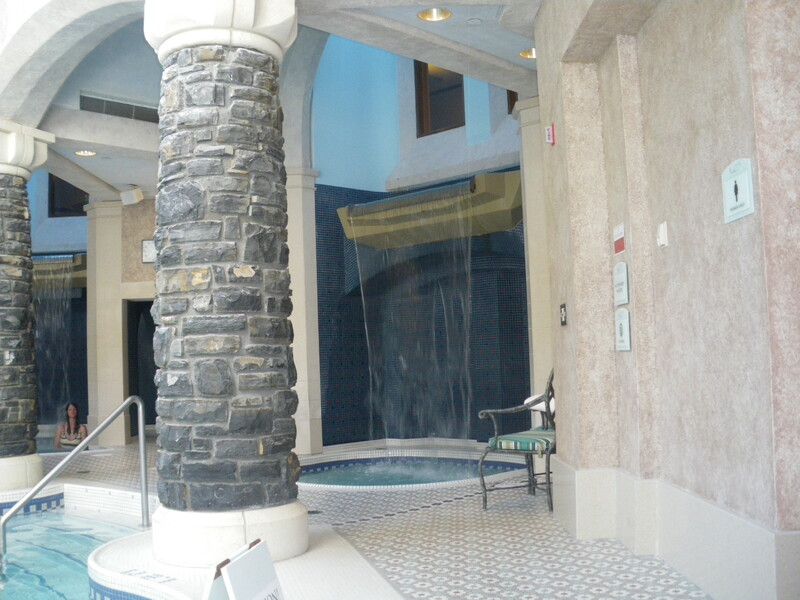 It perfectly represents both the luxury and the natural mineral springs that has made Banff so popular. After stripping down in the plush change rooms, helping yourself to a fine tea and gorgeous mountain view, you head down to the bathing area. Still split gendered, the area below has a good steam room, a hot whirlpool, and an ingenious sauna, which consists of a warm, eucalyptus infused inhalation room that leads directly into the hot sauna complete with a glimpse of mountaintops. Passing through the change room showers you arrive to the main course of the spa. The mineral pool (37’C) is in the middle of the naturally lit area, which is surrounded by three pools of differing temperatures and lounge chairs. The small pools (40’C – 37’C – 24’C) create a playground of hot and cold and each of the waterfalls that supply the pools pay homage to famous Rocky Mountain waterfalls. Continuing on through the Rockies and into the Kootenays you will find a spattering of hot springs. Ainsworth is of note as you can swim right into the cave to the source of the hot spring. But when the destination is Vernon, the winding mountain roads lead away from it. And there is one major reason to go to Vernon. 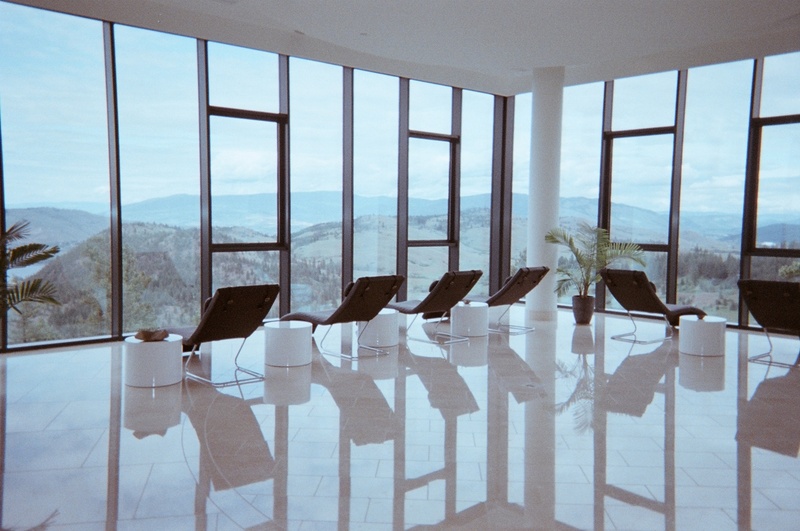 Just south of the Okanagan town and up the mountain, is what I believe to be one of the only Canadian spas equivalent to European standards. To get to Sparkling Hill Spa, you drive up to a beautiful plateau, and continue to drive until you reach the front doors of the resort, where valet parking takes away the beaters and leaves the Ferraris out front. The hotel with its excessive Swarovski Crystal décor is beautiful, but I had come to sweat. 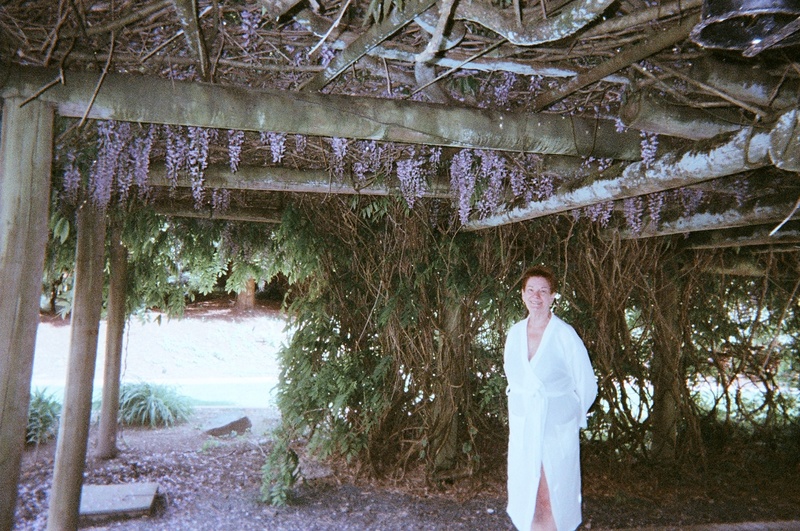 So after a quick lunch I changed into my robe and scurried down to the spa to get my sweat on. Sparkling Hill boasts 3 dry saunas, 3 wet saunas, an aqua meditation room (30’C), and igloo (10’C), four experience showers, an outdoor infinity pool, an indoor pool, an indoor whirlpool, a Kneipp water therapy walk, and 2 insanely gorgeous relaxation lounges. 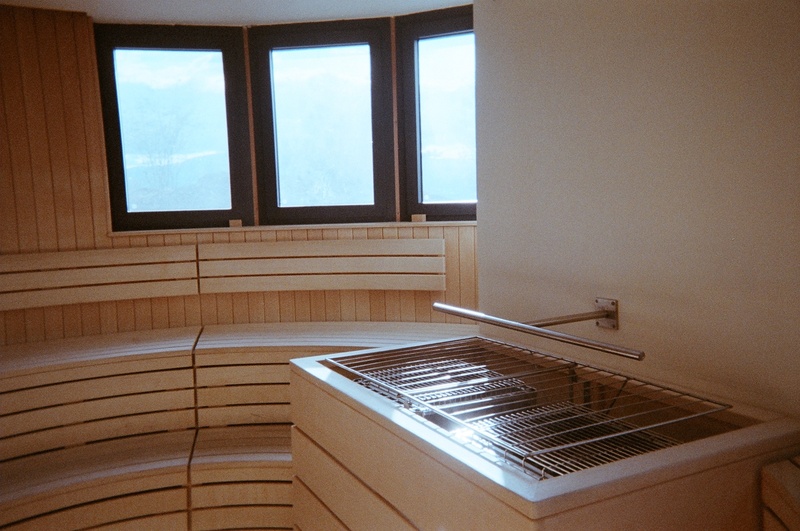 (And this list doesn’t even include their specialty treatments, one of which is the famous -110’C cold sauna.) This place is stacked for the bathing enthusiast and the setting, at the top of the mountain surrounded by crystal, is like nothing I’ve ever experienced. But every piece of paradise requires a closer look. My expectations were quite high and in most regards they were met. 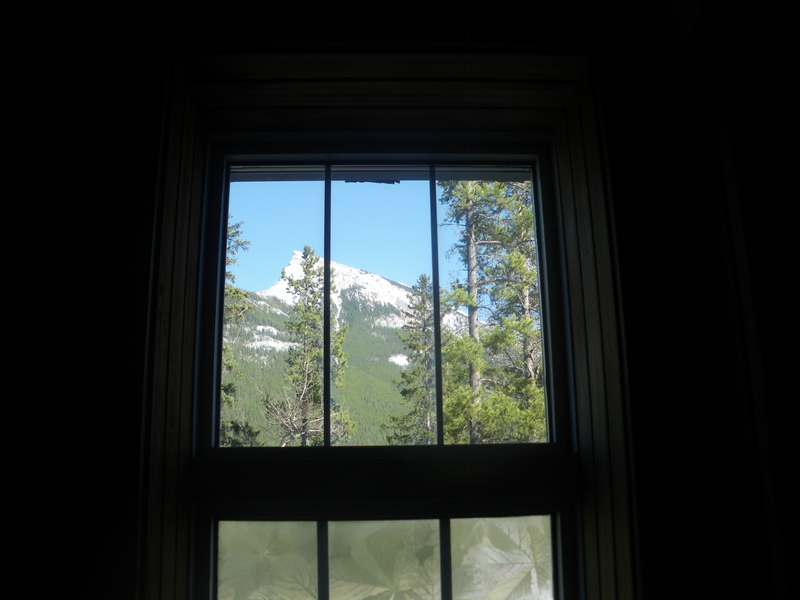 I loved the views, the options for sweating, and the very fact that they are among the first in Canada to really take bathing spas seriously. Of note was their rose steam room (38’C.) I could have stayed in this cozy nook forever inhaling the inspiring fragrance of rose (which seems to be making a come back from its grandma’s perfume stereotype.) 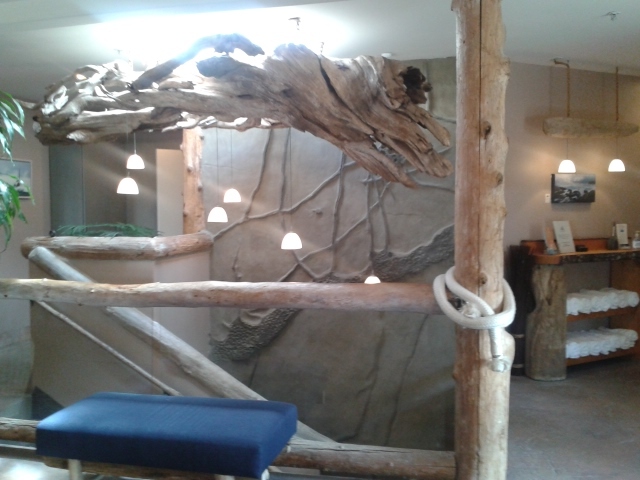 The Kneipp walk was perfect in producing a great tingling sensation to the feet through the hot and cold waters. The Panorama sauna was hot and I loved the regulated humidity consisting of a bar hanging over top to stoves which would, consistently drip a few drops onto the hot stones. I also applaud Sparkling Hill for its introduction of a European (naked co-ed) hour from 9pm-10pm. However, the secret of luxury spas, is that the art is in the details. The Finnish sauna was disappointingly cool (though I have heard that in the winter months they had conducted “Aufgusses” there.) 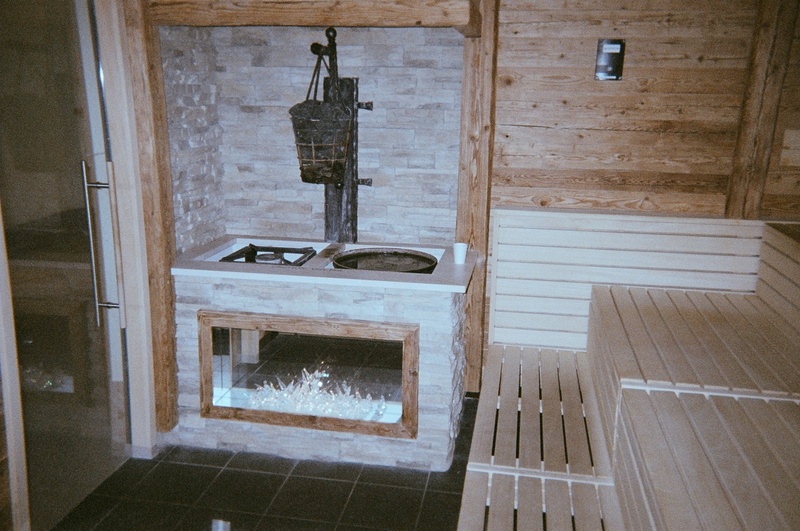 There did not seem to be any other aroma infused saunas or steams. The water fountain was not working in the Aqua Meditation room. There were not the expected bonus bathroom items (creams etc.) that one might expect at a luxury spa. And perhaps most frustrating was not being able to order food after 10pm. After a hardy sweat one should have a hardy meal – just not possible at the top of this secluded mountain. These small details aside, Sparkling Hill remains in my top rankings. It’s romantic, relaxing and a must see on the bathing spa tourist list. I think the best way to do it is to book a room for two nights ideally, this way you get one full day of spa use with less hassle to try and get food. But make sure you book at a discounted rate – that place gets expensive! 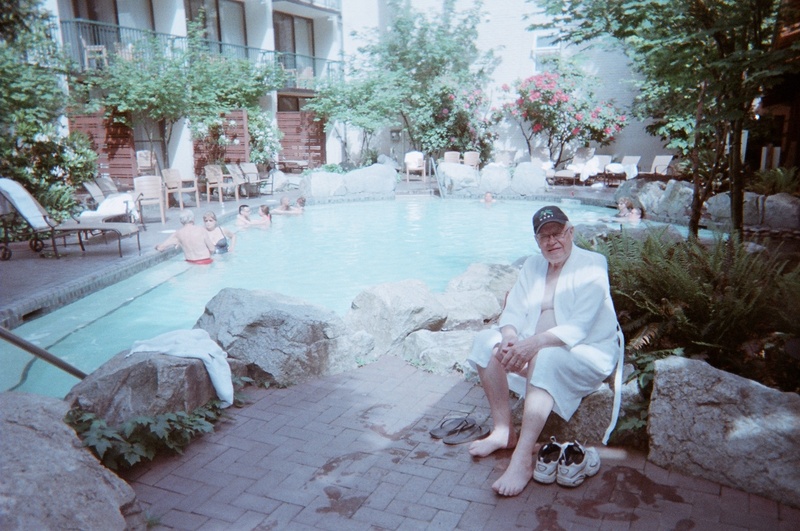 Having spent many hours on the roads between Edmonton and Vancouver, it came as a surprise that Harrison Hot Springs had not once lured my hot spring loving family its way. It seems only fitting then that I spent this spa day with my mom and dad. Getting off the busy #1 highway and making your way toward Harrison Hot Springs is a great reminder of why we call it “Beautiful British Columbia.” There was something nostalgic about the town – I couldn’t quite place my finger on it. 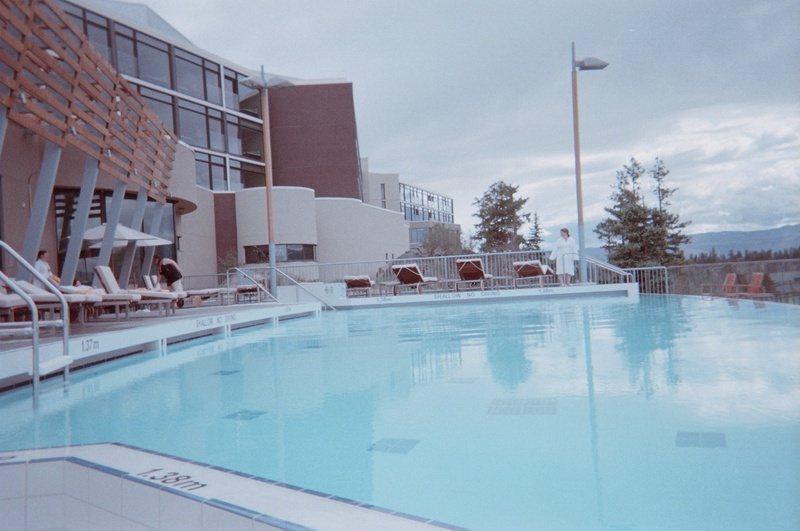 In order to enter the pools at Harrison Hot Springs Resort and Spa you must book a ‘day room.’ So we got our room, put on some robes and headed down to the pools. It was a lovely day with a cool breeze and the perfect setting to soak in these great waters. There is something so classic about this set up. They have an adult pool, a family pool, and swimming pools that are all surrounded by the hotel rooms (like a float to your door thing!). There is something that feels so old school (or perhaps just non-Canadian) about bringing a rum and coke into the pool with you, while the kids splash away in the next pool over. Going further back into the property there is a naturally lit building in which you will find change rooms, steam rooms (not exceptional), a warm pool and a beautiful hot pool (40’C +). The casualness of the resort was confirmed, as my mom was able to sneak in a 30-minute massage without a reservation! Once we were all good and warm we put on our robes and explored the back garden. The walk was definitely therapeutic, but that might have something to do with the fact that I half-ways felt like I was in an insane asylum walking around outside in my robe in the garden. But as for family-type spas this should be considered the proto-type. 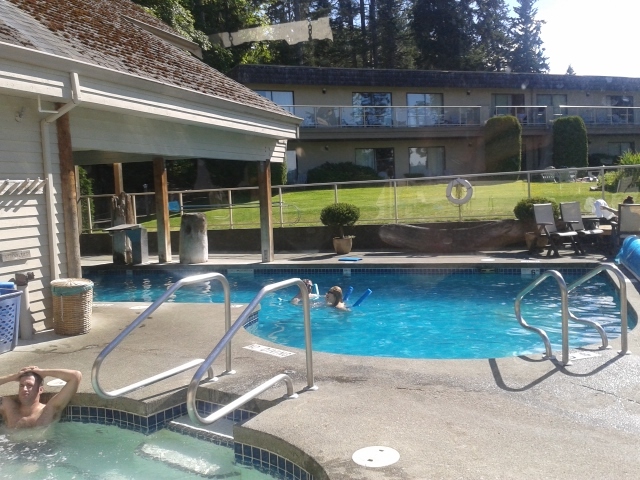 Really enjoyed our day at Harrison Hot Springs and would easily go back again before entering the bustle of Vancouver. 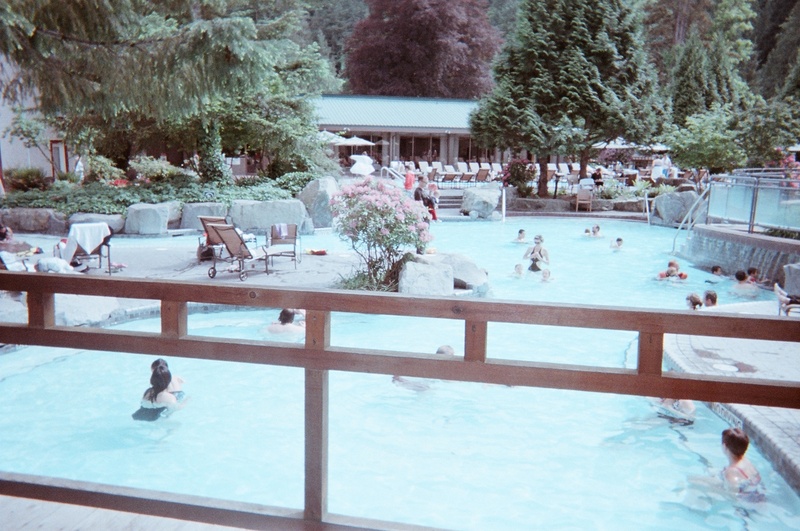 Harrison Hot Springs was to be the final spa in this western Canada adventure. But when opportunity knocks I always open the door. 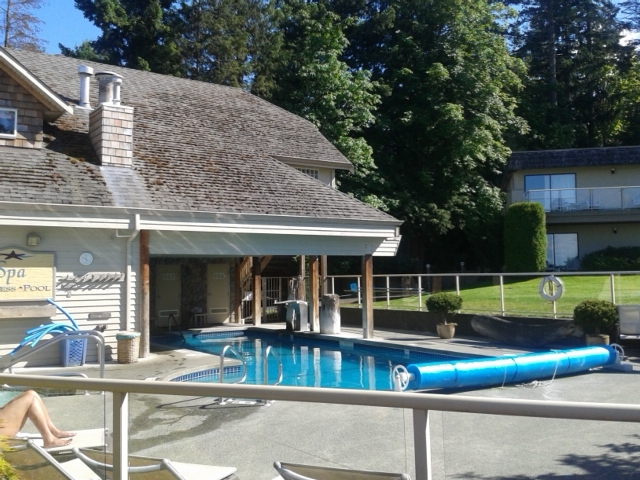 A trip up to Courtenay/Comox was necessary, and I knew immediately that I had to check out a spa that I there was a lot of talk about: Pacific Mist Spa and Hydropath at the Kingfisher Ocean Resort and Spa. I called the day before a Saturday and they were able to squeeze in an afternoon appointment for the hydropath. The feeling of this spa was just a little different. I mean you don’t have to do that much when you already have an oceanfront property. 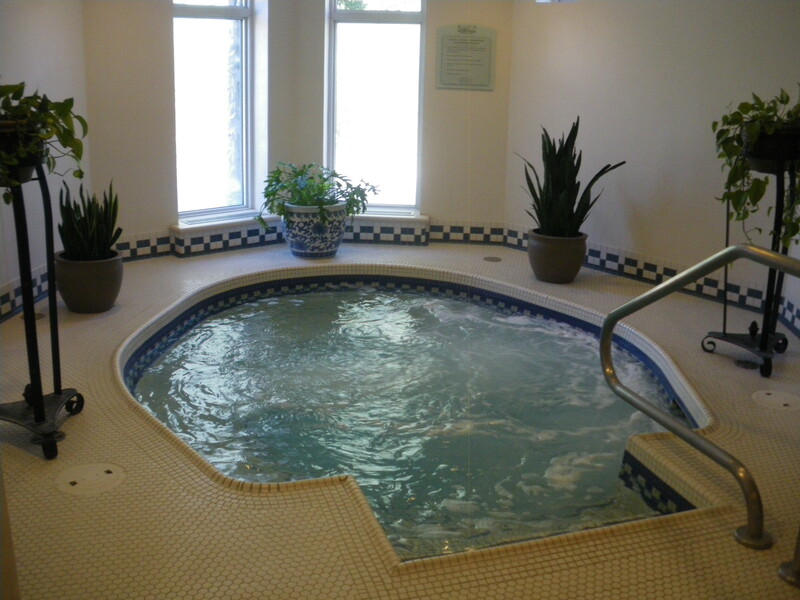 Having a booking at the spa allows you access to the warm outdoor pool, the outdoors whirlpool, the dry sauna, and the steam cave. Though the sauna was small it just had new cedar benches put it that made it smell great. It was also surprisingly hot. I hadn’t sweat on this spa tour since the banya in Calgary, so they must be doing something right. 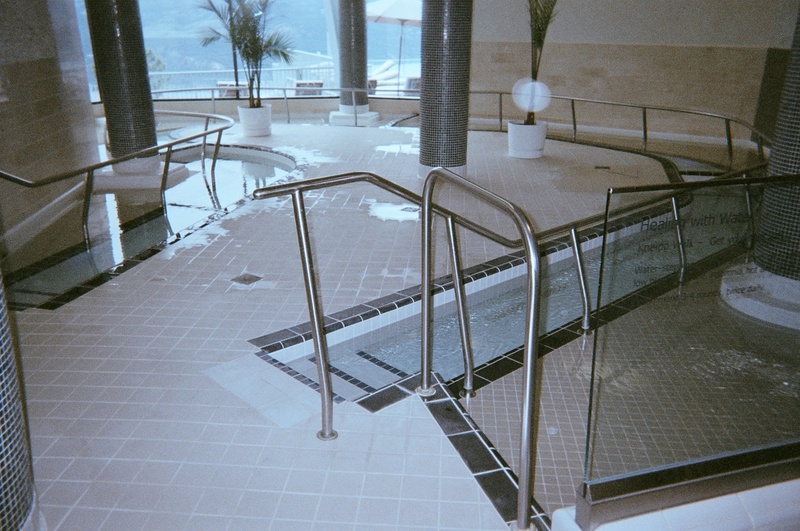 But it is the hydropath that makes this spa a unique bathing experience. 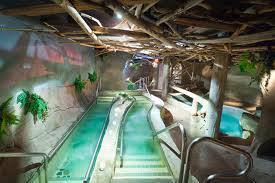 This grotto-themed water playground takes you through 9 different stages of hydrotherapy treatments.